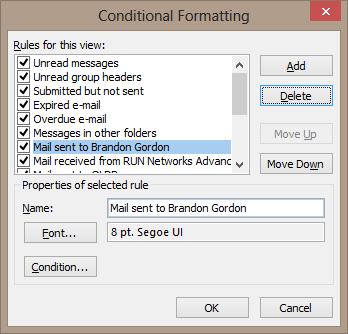 Conditional Formatting in Outlook 2010 allows you to automatically color or highlight messages from or to recipients in your inbox. 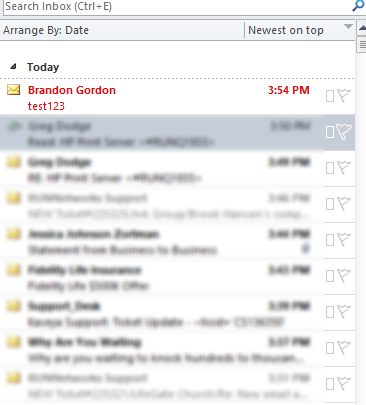 This makes it much easier to glace at your inbox and see what is important. 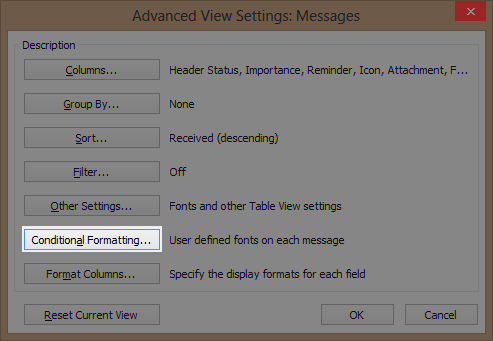 Microsoft changed this setting in Outlook 2010 greatly from Outlook 2007. The end result is still the same, though. 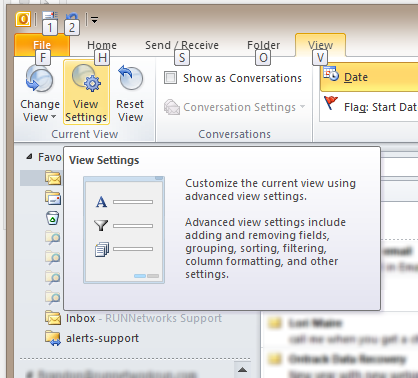 From the Mail window, select View, View Settings. 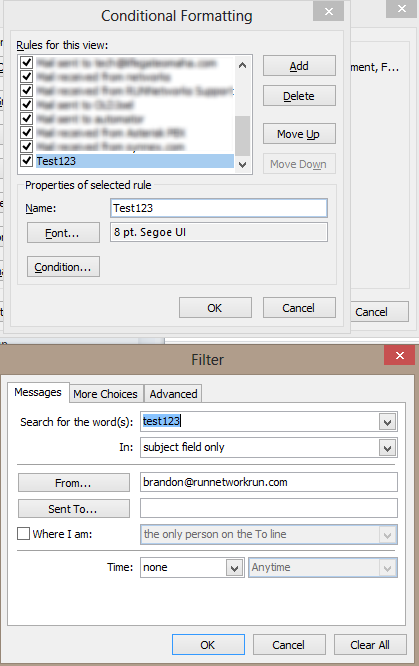 Here you will see the window to add an Outlook 2010 Conditional Formatting rule. Click Add to add a rule. The Filter window is the same as an advanced find. Enter the from address or subject search terms that you want to highlight. Once you fill out the search terms and click ok you'll return to the list of Conditional Formats. Click Font to format the highlight font for that message in your inbox. 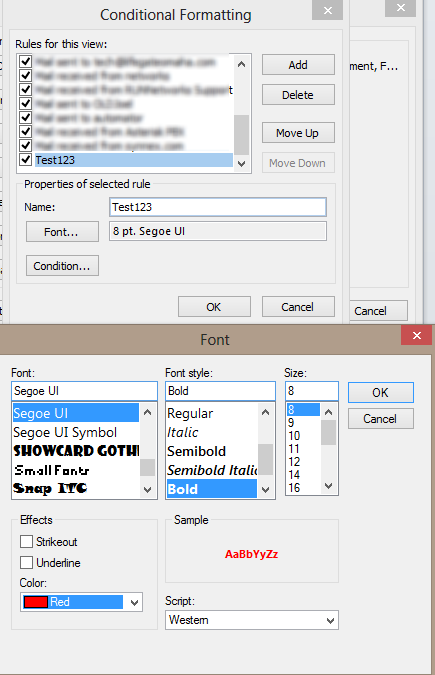 With that set, email that fits those conditions will be highlighted according to your font definition.